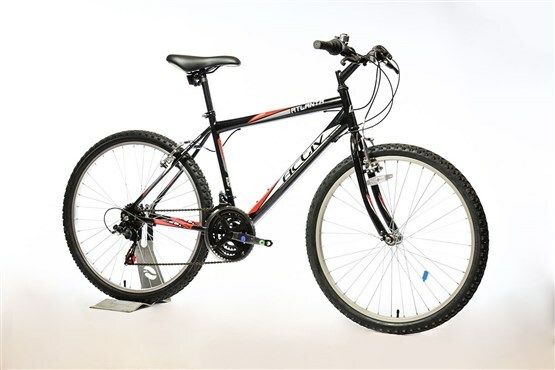 This Activ Atlanta mountain bike has previously been returned to us by a Tredz customer. As a result of its use, the bike is showing signs of wear, with the usual build-up on the drivetrain. In addition, there are some marks on the handlebar, frame and fork. With mountain bike styling and components, the Atlanta is ideal for commuting and weekend trails. Equipped with Shimano gears for easy gear changing, alloy V-brakes for superior stopping power, strong alloy rims and MTB tyres for all terrain capability. 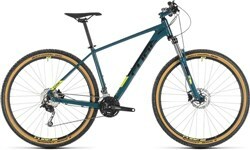 Fork: Hi-Tensile steel, rigid 26"